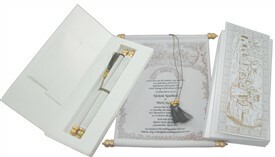 S395, White Color, Shimmery Finish Paper, Scroll Invitations, Jewish Invitations. 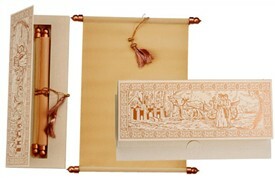 It’s the most stylized form of the traditional scroll in the shape of a Christian/modern scroll card. 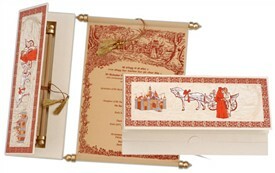 The box front shows a traditional paisley design border frame with a very scenic image of an old English castle and trees in the background, with the primary focus on the image of the bride and the groom by a horse cart. 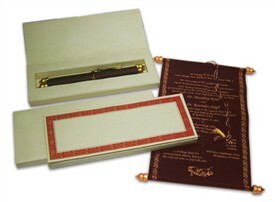 The velvet scroll is plain and is fully customizable in terms of text, symbols and borders. 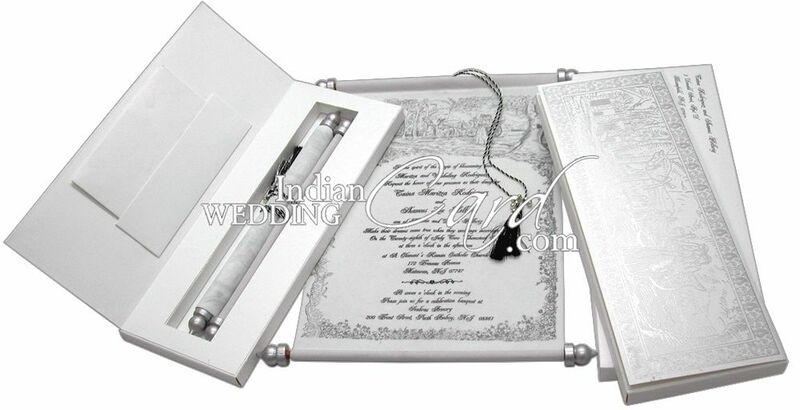 The mailing box envelope is plain. 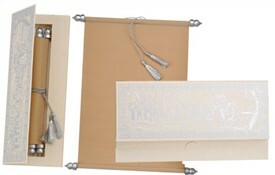 White shimmery finish metallic paper for box, pocket and mailing box envelope. 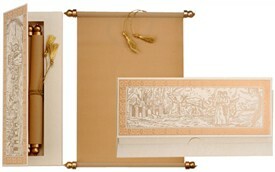 White Velvet Scroll.